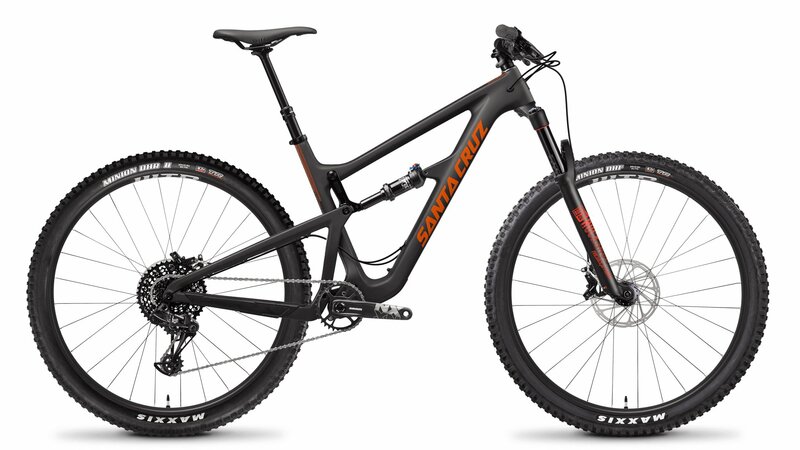 The 2019 Santa Cruz Hightower Carbon C R Bike is the perfect choice for the trail rider who loves big wheels. It is a 29er mountain bike that sports a 67° head tube angle and 135mm of travel on the rear and 140mm of travel on the front. The Santa Cruz Hightower Carbon C R Bike gives riders to confidence needed to fly down the mountain but still allows for efficient climbing. The carbon C frame uses a 73mm threaded bottom bracket, has Boost spacing, and has a max tire size of 2.4" wide. The suspension is powered by VPP, or virtual pivot point, which gives the bike a sharp and responsive feel. 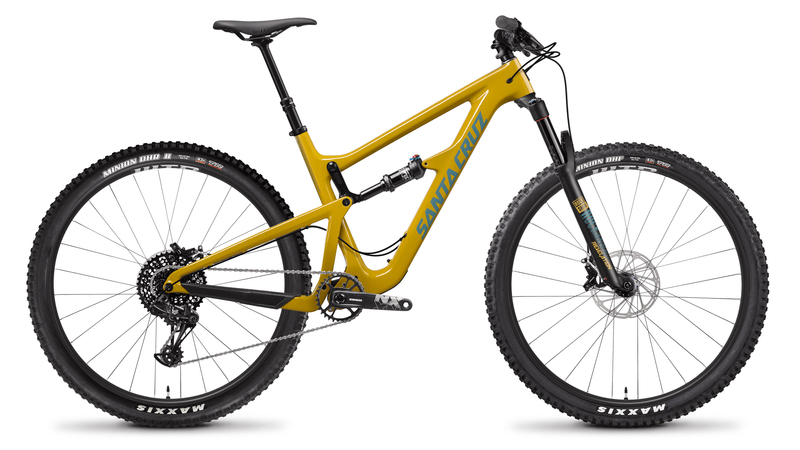 The R build of the Santa Cruz Hightower Carbon C comes with a RockShox Revelation RC suspension fork and a Fox Float Performance DPS rear shock to provide small bump compliance and can take a big hit. The drivetrain consists of SRAM NX Eagle 12-speed. That includes the shifters, rear derailleur, and chain. The cassette has an excellent 11-50 tooth gear range and is paired with a SRAM NX Eagle crankset with a 30-tooth chainring so riders won't have any trouble climbing the tough hills and can still speed up flying down the mountain. The SRAM Guide T hydraulic disc brakes give confidence-inspiring stopping power and modulation. The Hightower features WTB ST i25 tubeless ready rims and is paired with Maxxis Minion tubeless ready tires so riders can drop the tire pressure for a smoother ride and better traction.